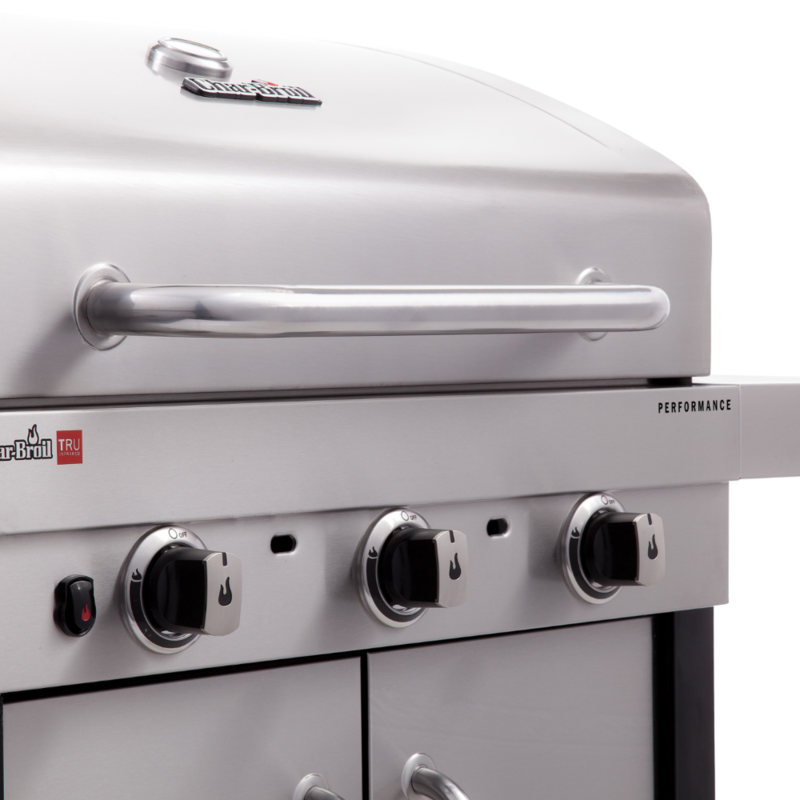 Our Performance TRU-Infrared™ 3-Burner Gas Grill is loaded with features and perfect your mid-sized grilling needs. Start it up with the push of a button. 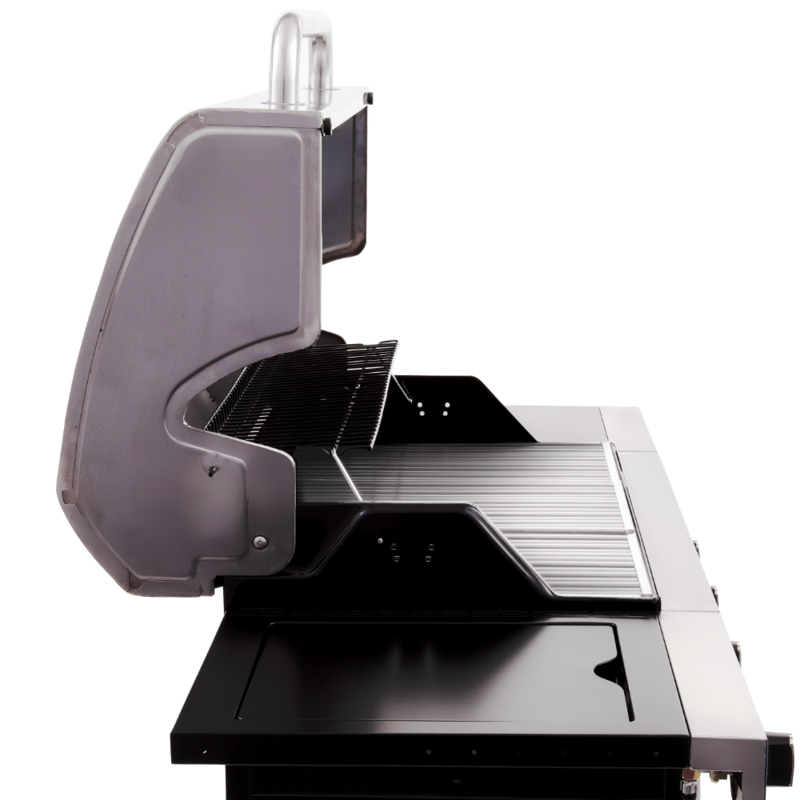 Our infrared technology heats up faster, hotter and more evenly, for less grill flare ups and juicier food. The side burner makes it easy to fry up or warm side dishes. 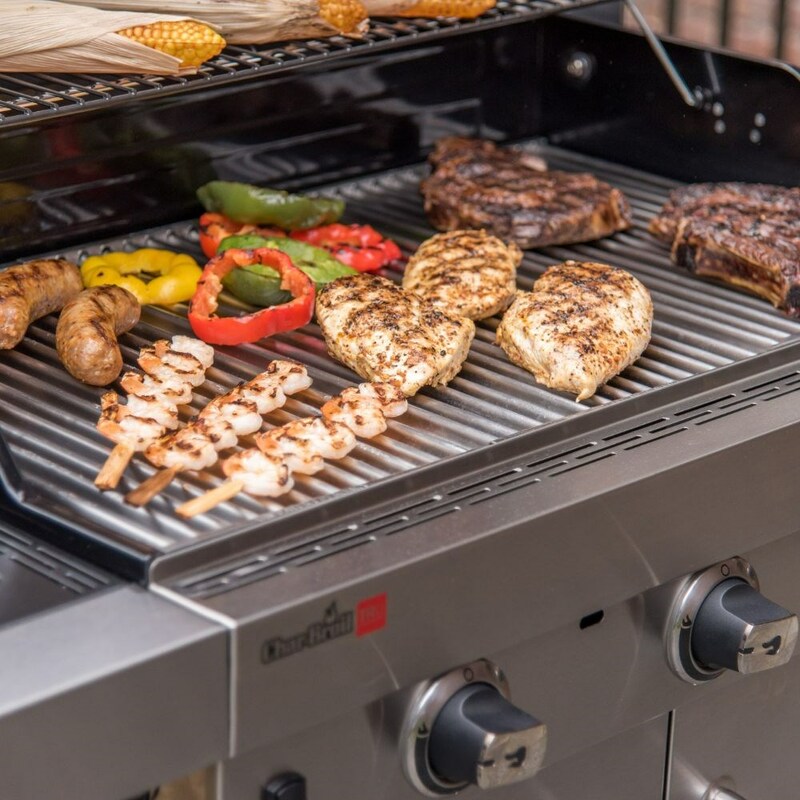 And you can keep your grilling tools handy and your propane out of sight with the storage cabinet. 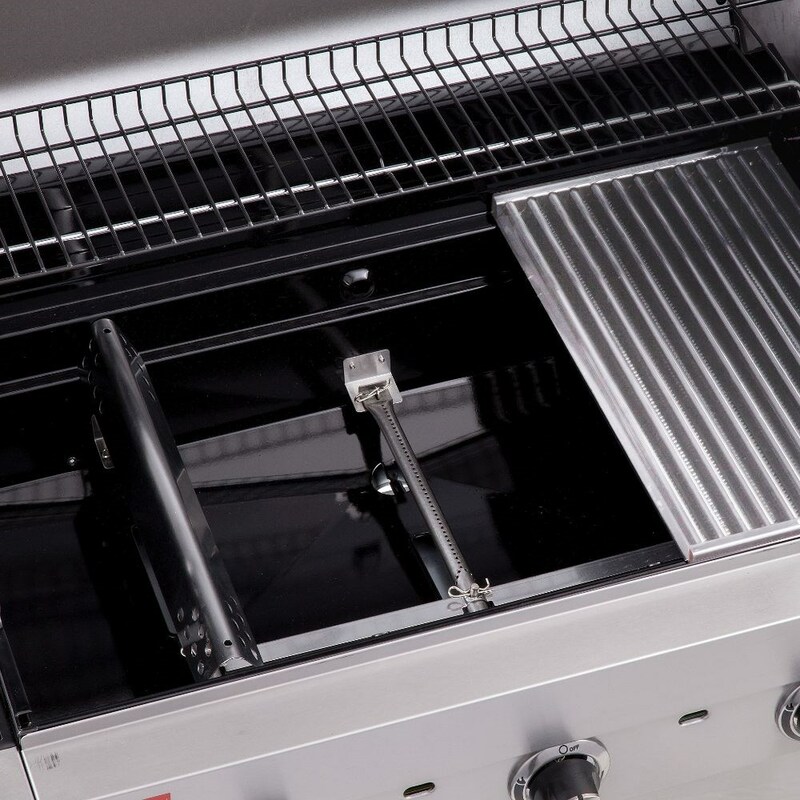 The durable grates and burners were designed to keep you grilling for the long haul.